Council had 28 artificial hollows/boxes installed in 2009. Most were erected in Ridge Park and Heywood Park. 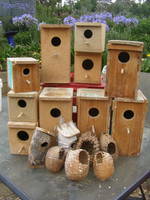 On a recent inspection it was found that many of these boxes are now providing a home for a variety of native species. These include Ringtail and Bushtail possums, Lorikeets and Eastern Rosellas. There was also evidence that micro bats had been using one of the boxes. More boxes will be installed in other locations later this year. Hopefully this project assists in some small way toward the breeding of native species. A DVD has recently been released titled 'Careers in Aged Care,We Can't Do it without You' that has involved Celine Luya and Diony Kyprianou. It aims to promote the sector as a career for young people. With the increase in our ageing population well on the way one of the issues we will face is finding labour for the sector. This DVD can be viewed at; http://www.unley.sa.gov.au/site/page.aspx?c=21417 . As Chair of the Aged and Disability Advisory Committee I commend their involvement in this production. On 21st February Sue Goldsworthy (CPCC), Amelia Birve and Deb Richardson attended the Governors Multicultural Awards at Government House. The Clarence Park Community Centre was short listed as a finalist for the work done with the Ahmadiyya Community from more than 130 submissions. Well done to the staff working on this project. Book selector for the Home Lending Service on alternate Mondays. Driver for the Social Transport Programme. 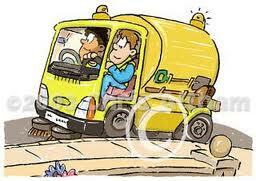 You can use a Council vehicle or your own. Graffiti removal;I spotted some of our newest recruits out working on Saturday morning. 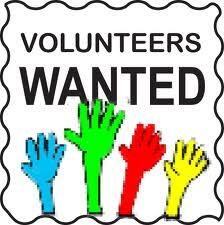 Programme support in a friendly and social centre on Tuesday or Thursday am or pm. Insurance and out of pocket expenses are covered and you will be given training and support. If you are interested please contact Karen Jenkinson 83725116 or kjenkinson@unley.sa.gov.au. There were not many items on the Agenda, however, and yet the debate lasted nearly 4 hours. It seems the time we as Councillors spend on debating a matter bears little relationship to the complexity of the issue or the amount of money it costs. I remember many years ago the night we decided to sell the Unley Shopping Centre. We debated the $10 million dollar sale for less than 5 minutes. Nomination Australia Day Council of SA;Council has been asked to nominate someone to this board, if more nominations than positions vacant then an election will be held. Council nominated the CEO Peter Tsokas. Financial Results 2010-11; the results show that Council's total income was $36,610,000 and expenses $35,768,000 achieving an operating surplus of $842,000. Of this expenditure $12,988,00 was spent on employee costs,$15,874,000 on materials and contracts, $6,293,000 on depreciation and 4613,00 on finance costs. Restructure; the new CEO put to Council a preferred new structure that would see 4 General Managers rather than the current 3. This should give a better fit for each person's portfolio. Rather than increasing costs some savings will be achieved when newly recruited personnel are started at lower rates of pay that the incumbents had been receiving. There is currently only one incumbent and the 3 other positions will be advertised in the near future. Charles Mountain, the traffic engineer, is to take up a position with the RAA, his expertise will be missed. We also listened to a deputation from Ron Belchambers regarding the potential damming of Brownhill Creek. His view was well put and with questions he had the floor for nearly an hour. However, Council is yet to see the final report and costings on alternate solutions to building the dam. The decision will need to be made next month when Council has this information. The race is on to register Clean Up sites for 2012. Mark your calendar – the annual Clean Up Australia Day will be 4 March 2012 and the Clean Up Team has their sights set on increasing the number of site registrations. This year, The City of Unley wants to clean up! All local residents are encouraged to lend a hand. Clean Up Australia Chairman Ian Kiernan AO is encouraging everyone to do their bit towards protecting their local environment. “We’re urging all Australians to take notice of clean up hotspots in your local area and let us know where they are - whether you can help out on the Day or not,” said Mr Kiernan. “Think of the places that are important to you – your local park, sporting fields, beaches, walking tracks, neighbourhood streets and bike ways – and pull together your own team to join Team Clean Up.”Registrations are now open to join Team Clean Up in 2012. To register go to: cleanupaustraliaday.org.au or call 1800 CUA DAY (1800 282 329). Council will pick up your collected waste, to arrange collection please call Kelly Overeem Environmental Coordinator on 8372 5118. Currently Council have 4 graffiti volunteers fully inducted and trained in the graffiti removal process. Meet with Council Depot staff to undertake a short demonstration on the use of products to remove graffiti and have the process of reporting and recording graffiti explained. On Wednesday 22 February 2012 volunteers Steve Smith, Wayne Hooper, Libby Robertson and Don Priestly attended a morning tea including a demonstration conducted by John Rose from Worlds Best Products on how to use the products therefore completing their induction to the Graffiti Removal Volunteer Program. The volunteers were then presented with their Graffiti Removal Kit and were thanked for making themselves available to attend the meeting and assisting Council with this program. The meeting was also attended by Mark Clarke, Manager, Assets and Sustainable Landscapes, Michael Howley, Team Leader, Parks and Horticulture, Karen Jenkinson, Volunteer Management Officer and Karen Kelly, Team Leader Administration, Assets and Sustainable Landscapes. Residents wanting to know more information regarding the program please contact Council's Customer Service Team on 8372 5111 and you will be directed to Karen Jenkinson, Council's Volunteer Management Officer . Don and I have now completed the drop of the February newsletter. Unfortunately we checked all the spelling errors, etc and missed that we hadn't changed the date. Given that, we have only had 2 complaints and they were more informative than not. Either most people who took the time to read it didn't notice either or put it in the bin so quickly they didn't take the time to read it. The newsletter that we try to put out every 3-4 months is really the only way that we have of letting residents know what is going on in the ward. Those of you who read the is blog will already have the information. Feedback is important as are your ideas about what is working and what is not. In the last week alone I've been able to get a tree trimmed in Forest Ave, have got the answer from a resident about waiting times for hard waste collection (6-8 weeks), found out when a footpath is due for paving, had a street tree replaced, had graffiti removed in East Avenue, read submissions about the proposed East Ave pedestrian refuge in east Ave and organised to meet at Sasmee Park to talk with management about future plans. Since launching her business in 2009, Melanie-Joy has taught hundreds of people to create their own unique pieces of ‘Wearable Art’. The catchphrase “think outside the square”, prepares you to experience something beyond the ordinary. Largely self-taught, Melanie has been making her own jewellery for over 12 years. She merges natural skills for combining colour and texture with those learnt whilst studying Fashion Design. Throughout 2012, Melanie-Joy will be sharing her skills in a variety of jewellery-making workshops at Clarence Park Community Centre. FOR ADULTS: April 29, “An Introduction to Boutique Jewellery Making”. Perfect for beginners. Work with quality materials and learn all the basics to continue to create beautiful designs at home. GET CREATIVE: August 26, “Wearable Art Workshop”. Designed to Inspire and ‘awaken your creativity’. Use a variety of non-traditional objects to create your own unique piece of ‘Wearable Art’. Suitable for beginners, and adults of all jewellery-making levels. Bookings are essential as places are limited. Contact Melanie: 0411 754 317. Council decided to change the nights for this meeting and the Development Assessment Panel. So City Strategy is now the 2nd Monday and DAP the 3rd Monday. I did not support this proposal but nevertheless this is now the way it is for 2012. Development Plan Amendments Public Consultation; Council must decide if they wish to consult to the minimum standard, to a tailored standard or a comprehensive standard when the Minister signs of on the DPAs currently on his desk. That is the Heritage DPA, DPA2 and DPA3. He is likely to sign off on each between March and June. Following this Council must immediately consult with the community and inform individual residents who are directly affected (heritage listed). Consultation is followed by an opportunity for individuals to put a representation to Council. Council decided to consult to a tailored standard. Don and I were pretty disappointed with this as DPA2 changes much of the zoning in Black Forest. We'll drop some information in letter boxes when the consultation starts. Naming of the McLeay Park Playground; Council to considered naming the playground in this park after a long serving Councillor. I have concerns about naming playgrounds within a park separately from that of the park. I feel it will set a precedent that may add to confusion. However, the playground will be known as the Robert Birnie Playground. Laneway Housing Investigation; Staff responded to a request to investigate this type of housing in Unley. As Goodwood South has only 2 suitable lanes I doubt this will be an issue locally. However, it is a complex issue and the report explored an interesting way to create more building sites and allowing the retention of heritage buildings. Staff will further develop this concept after the above DPA schedule is completed. While some ideas seem to take forever to get something to happen this one has been the opposite. If you're a family with a baby why not go and check this out? Did you know that in Australia, we send 2.1 billion disposable nappies to landfill a year and because they take around 150 years to break down, they become a significant ecological issue as they take up valuable landfill. As part of an ongoing city wide Waste Management program, The City of Unley is consciously trying to reduce the amount of waste going to landfill, therefore an important way of achieving this is to encourage residents to use cloth nappies rather than the disposable type. Cloth nappies have come a long way since the old toweling squares. Modern versions are much more absorbent, less bulky and easier to wash - plus they are just as easy to use as disposables and they look great! The City of Unley is offering a subsidised program to encourage parents to use cloth nappies via a Cloth Nappy Library. The Cloth Nappy Library gives you the opportunity to try out different types, sizes and brands of modern cloth nappies for two weeks, helping you find the perfect nappy system for you and your baby. Please RSVP to Grace at grace@kesab.asn.au or phone for further information on mobile 0406 001 216 or visit www.ecobumclothnappies.com.au. Dads and babies are more than welcome! Plans for the East Ave refuge. Greenways project; As part of the rail electrification the state government (DPTI) intends to create a shared pedestrian/bike way along the rail corridor from the end of Emerson Rd to about half way along Canterbury Tce (at the eastern end of the boardwalk). If this proceeds it will be a real asset in Goodwood South, it will also reduce the necessity for the boardwalk and it can be removed and the footpath landscaped. We would still need to work on how to proceed with the eastern section of the footpath that is becoming increasingly unsafe to walk on. East Avenue Pedestrian Refuge; The public consultation for this has begun, you should have received a letter if you are in the catchment area being consulted. The more responses the better. Dunrobin St; Residents will soon receive a letter asking for their ideas about the future of the trees and landscaping in the street. This is not only to gather ideas and does not support any one proposal. However, the current street trees, the red iron bark, have been associated with increased risk of failure in recent times. Left turn bans in East Ave have now been removed after public consultation. Byron Rd; The proposed centre white line has been abandoned due to your response. Crosshatching of the railway line should commence shortly. Mills St ; Consultation will start soon on the replacement of the first (east) plateau and improved traffic islands to reduce the dodgy U-turns that people attempt on the corner of Mills St and Goodwood Rd This has now taken just over 5 years and it is still not completed. Railway electrification; Council will be briefed on this in March. One of the outcomes should be greater detail about how they intend to undertake public consultation. Goodwood Oval Playground Fence; half of this has now been installed and the rest will be completed over the next couple of weeks. Community Asset Review; staff are working with local clubs that hire Council facilities over the next few weeks. Street cleaning; This is now done about every 3 weeks, residents have asked if it is possible for them to know when the sweeping will be done so they don't leave their own cars parked in he street that day. It would also give residents an opportunity to sweep the leaf litter into the gutter so it can all be collected at the same time. Council are interested in trialling this using text messaging. If you think your street would be a good candidate then Don and I can try and collect mobile phone numbers from residents. On 11 January 2012, the City of Unley Council water truck was filled for the second time from the Hamilton Boulevard (formerly Johnstone Tce.) underground recycled water tank. This was 1 year and 1 day after commencement of the project. This project now looks great and the water saving initiatives starting to show their benefits.